The Small Business Administration (SBA) guarantees small business loans issued by approved lenders. SBA loans are difficult to qualify for but carry low interest rates up to 10% and repayment terms up to 25 years. 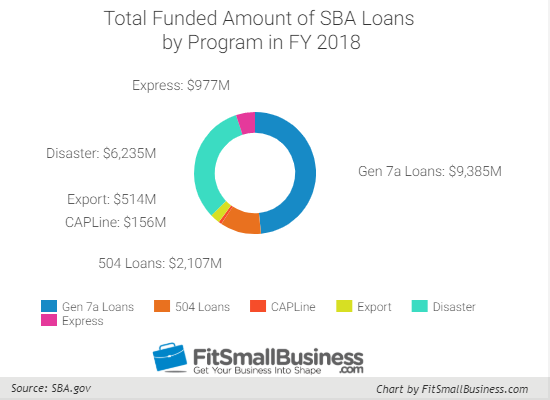 The six types of SBA loans are 7(a) loans, community development corporation (CDC)/504 loans, CAPLines, export loans, microloans, and disaster loans. Our recommended SBA loan provider is SmartBiz. They offer SBA 7(a) loans up to $350,000 for working capital and $5 million for CRE. If you have been in business two or more years, are profitable and have a credit score above 680, you can prequalify online in just a few minutes. The SBA 7(a) loan rates depend on a variety of factors, such as your credit score and the length of the repayment term, and it could be fixed or variable. The SBA limits the rate that lenders can charge for an SBA 7(a) loan with a maximum rate set at 2.25% to 4.75% plus the prime rate. 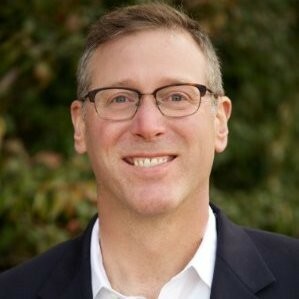 Guidant Financial can help startups put together their SBA loan applications. In addition, Guidant helps startup businesses find the lenders most likely to work with them and creative ways to meet the down payment requirements. The process starts with a free startup loan consultation. If you’ve been in business for 2 or more years, have a 680-plus credit score and are profitable, then you could qualify for an SBA 7(a) loan from SmartBiz, our recommended SBA loan provider. You can prequalify online in less than 5 minutes and get funded in as quickly as 30 days. Applying for an SBA loan is a time consuming and complicated process. It will take many trips to your bank or lender and requires an extensive list of documentation. Generally, an SBA loan can take 45 to 90 days or more before you ever get funded, if you’re approved at all. You can learn about the step-by-step process by reading our article on how to apply for an SBA loan. When applying for an SBA loan, it’s important to find a lender that is not only well-versed in these loans but one that originates many of these loans. This will increase your chances of getting funded and save you time and energy from applying with multiple lenders. Check out our review of the 100 best SBA lenders, where we provide the top 100 and review the 10 best. If you’re ready to start your application, we recommend the streamlined process at SmartBiz. Instead of waiting for months to get funded, SmartBiz can help you get the funds you need in as quickly as 30 days. They can prequalify you through a simple online application that takes only a few minutes. The SBA Express Loan generally follows the same guidelines as the standard SBA 7(a) loan, but the maximum loan amount is $350,000, and only select lenders are qualified to participate. The SBA guarantees a maximum of 50 percent for SBA Express loans, which means the interest rates on an SBA Express loan can be a bit higher than other 7(a) loans. The Community Advantage Loans are SBA loans designed to help businesses in underserved markets get access to financing. These programs are available to borrowers who meet the SBA eligibility criteria but are not able to qualify for a standard SBA 7(a) loan because of low revenues, low collateral or other reasons. Under the Community Advantage Program, the SBA offers the same expedited application and approval process that comes with an SBA Express loan, but they’ll guarantee 85 percent of loans up to $250,000. This further reduces the risk to lenders and gives them more motivation to lend these loans over the SBA Express program. The SBA does not set limits on the rates, terms and fees for the traditional lenders, which leaves the details of the loan up for negotiation. In general, interest rates will be between 5 percent and 9.75 percent and will have a reset point. Typically, the loan will have a 5- to 10-year term but will be amortized over 20 to 25 years. You can check current CDC rates on our SBA Loan Rates page. If you do not want to work with a CDC, then you should look at getting an SBA 7(a) commercial real estate loan. Northeast Bank offers rates as low as 5.5 percent on loans up to $5 million. Get prequalified by filling out a short online form. If you’re in the market for commercial real estate and will occupy at least 51 percent of the space, you may be a good candidate for an SBA 504 loan. We recommend working with Liberty SBF for SBA 504 loans. If you have a credit score above 680, have been in business 3 or more years, are profitable and need more than $500,000, you should speak with Liberty SBF today. The application process for SBA 504 loans is similar to SBA 7(a) loans in the amount of paperwork and time it takes to get funded. You’ll also have to provide additional paperwork on the property you’re funding. Read our in-depth guide to SBA 504 loans for more details. The SBA CAPLines program has four SBA loan or line of credit products that are designed to provide up to $5 million to help small businesses meet their short-term and cyclical working capital needs. SBA CAPLines are best for businesses that need a revolving line of credit to make recurring payments or to prepare for unexpected expenses. While technically SBA CAPLines can be issued as stand-alone products, typically these are only offered to borrowers in conjunction with a traditional SBA 7(a) loan or a CDC/SBA 504 loan. Well-qualified borrowers or those businesses that have potential to bring in a great deal of other business to a bank may be able to find a lender willing to issue a stand-alone CAPLines line of credit, but this is less common. The SBA CAPLines program has interest rates that mirror the SBA 7(a) loan program — you can read our article for current SBA loan rates. Remember that with a line of credit you only have to pay interest on what you borrow, and you’re not required to advance funds you don’t need. This makes it a great option for businesses with fluctuating cash flow needs. Ongoing servicing fees for an SBA line of credit through the CAPLine program will be higher than with an SBA 7(a) loan. This is because the lines of credit are extended based on short-term assets like invoices and contract, which require continuous verification. For most of the CAPLines, the servicing fee is capped at 2 percent but can be higher for working capital lines. Additional requirements will vary depending on the SBA line of credit that you’re applying for. The SBA seasonal line of credit requires that your business must be in operation for at least one year and that you demonstrate the seasonal nature of your business. A builders CAPLine is an SBA line of credit up to $5 million for contractors and home builders who build or renovate residential or commercial buildings. To qualify, in addition to the standard 7(a) requirements, your business needs have demonstrated experience, profitability and ability to perform the work and complete the project. The application process for an SBA line of credit through the CAPLine program is similar to that of an SBA 7(a) loan. 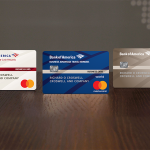 Lenders like banks and credit unions that participate in the SBA 7(a) program are likely to also participate in the CAPLine program. However, as we mentioned earlier, these lines of credit can be difficult to get as standalone products. Typically you’ll need to bring a lot of other business to a lender to have them find underwriting an SBA line of credit to be worth it. Read our article on how to apply for an SBA loan to learn more about the application process. The SBA International Trade loan program requires you to show that you can develop new foreign markets, expand existing foreign markets or that your small business was affected adversely by imports and that the loan will increase your competitiveness. You can learn more by reading our article on Import & Export Financing. You can apply for an SBA Export Loan with most SBA-approved 7(a) lenders. Finding a good lender is an important part of the application process. To make this process easier, we’ve provided a list of the top 100 SBA lenders, where we also reviewed 10 of the best SBA lenders. Also, check out our tips on how to apply for an SBA loan, which will help expedite the application process. If exports make up of some of your business but are not a major portion, an SBA 7(a) loan will offer almost all of the same benefits. We recommend working with SmartBiz for SBA 7(a) loans because its speed and efficiency make what can be a grueling process very easy. The SBA Microloan program provides SBA loans to nonprofit intermediary lenders that, in turn, lend amounts under $50,000 to for-profit small businesses and nonprofit child care centers. The SBA does not guarantee any portion of the loans made under the SBA Microloan program. Microloans have terms up to 6 years, and the average size is about $13,000. 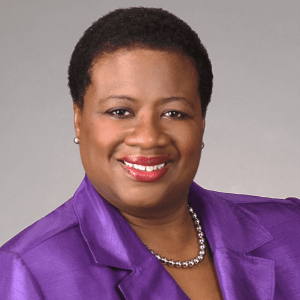 The nonprofit intermediaries can borrow up to $750,000 from the SBA in its first year and up to $1.25 million each year after that but can have no more the $5 million borrowed at any one time. The Microloan program has averaged about $37 million in approvals per year during the past 5 years. This is a significant number of loans, given the average Microloan size is only $13,000. The partner institutions set their own interest rates according to the creditworthiness of the borrower and the specifics of the startup or small business. However, on average, the interest rates range from 8 % to 13%. You can borrow up to $50,000 with an SBA microloan, but the average loan size is about $13,000, and the maximum loan term is 6 years. Note: The rates and terms of SBA Microloans are similar to those with most peer-to-peer loans. However, peer-to-peer loans can be approved in minutes without much paperwork whereas SBA Microloans can take months to get approved and require extensive documentation. To apply for an SBA microloan, you must work with an SBA-approved intermediary in your area. Here’s a list of SBA-approved intermediaries. While SBA Microloans are smaller in size, they typically take just as long as SBA 7(a) loans to obtain, which can mean several months. For a faster alternative with similar rates and terms, those with a credit score above 660 can look into a peer-to-peer loan. You can get funded in a matter of days. Seeing what you’re prequalified for with Lending Club takes just a few minutes. SBA Disaster loans are SBA loans used for recovery from a declared physical or economic disaster. Each Disaster loan can be used differently, and you can apply for multiple types of loans at the same time to meet your needs. These are best for businesses that have been negatively impacted by a disaster and those that can provide evidence of the negative impact. The SBA Disaster loan rates and terms will vary based on the type of disaster loan. All of the SBA Disaster loans available offer rates as low as 4 percent and you can borrow up to $2 million. The highest interest rate you can be charged is 8 percent, and this is only if you are able to get credit from another source. The qualifications for each type of SBA Disaster loan are slightly different. One key difference shared by all of them is that you will be applying for a loan when your business may not be in great shape — certainly not physically and possibly not economically viable. In summary, there are three types of SBA Disaster loans that provide borrowers with a source of gap funding once other resources like insurance have been exhausted. Businesses of all sizes and most private nonprofit organizations meeting basic qualifications, such as good credit — 660+ credit score — and an ability to repay are eligible to apply for funding of up to $2 million. Long-term, low-rate loans designed to help businesses that suffered physical losses and damages due to a declared disaster replace or repair that property not covered by insurance up to $2 million. You may be eligible for an SBA Business Physical Disaster loan (BPDL) if your business has been physically damaged by a disaster that is in a declared disaster area. Short- to medium-term working capital loans to help businesses that have suffered significant economic injury meet normal operating expenses up to $2 million. You may be eligible for an SBA Economic Injury Disaster loan (EIDL) if your small business has suffered substantial economic injury as a result of a disaster and are unable to meet your normal operational expenses. Short- to medium-term working capital loans to help businesses that lose an essential employee due to being called up for active military service meet normal operating expenses up to $2 million. You may qualify for an SBA Military Reservists Economic Injury loan (MREIDL) if an essential employee is called for active military duty and the loss results in an inability to meet normal operating expenses. If disaster strikes and you need funds to cover gaps in insurance coverage or other assistance, you can apply for assistance directly from the SBA. Applying quickly enables you to begin recovering sooner. Check out our article on SBA Disaster loans for step-by-step instructions on the application and approval process. 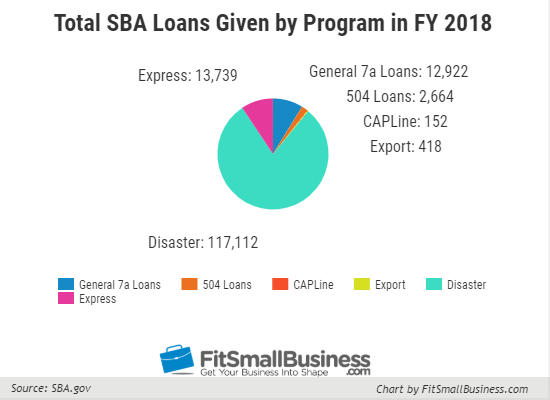 Interestingly, the total number of loans given out in fiscal year 2018 is overwhelmingly dominated by SBA Disaster loans. This is likely due to Hurricane Harvey, Hurricane Maria and other significant disasters that occurred in the fall of 2017 and into 2018. 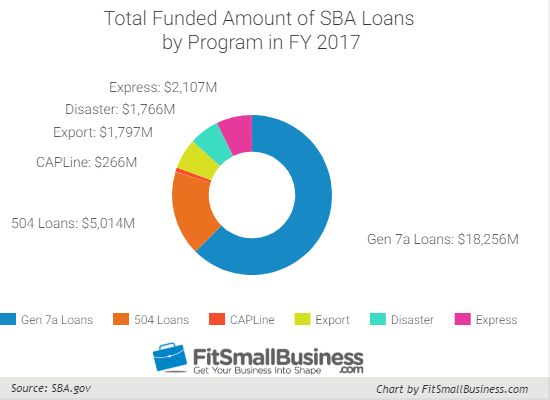 Normally, the most loans fall into the SBA Express and 7(a) loan categories, which are the second and third during fiscal year 2018. The trend for FY 2018 in terms of the amount approved is also skewed from the norm. As shown below, general 7(a) loans represent the highest share. As we saw with the number of loans approved, SBA disaster loans come in second here as well. Again, this is most likely attributed to Hurricane Harvey and other significant disaster relief efforts that started in the fall of 2017. To provide more insight into normal activity, we’ve also provided data for 2017. As you can see in the table below, the largest dollar amounts approved in a normal year are in SBA 7(a) and SBA 504 loans. SBA 504 loans beat out Express loans for the number two position in terms of the dollar amount approved because the typical loan size is much larger for an SBA 504 loan. Contrary to what many people think, other than under the Disaster loan program, SBA loans are not issued by the SBA. Banks, credit unions, community development organizations, microlending institutions and others actually make the loans. The SBA makes a guarantee (promise) to cover a portion of your lender’s losses — 50 to 85 percent — if you don’t pay as agreed. Navigating these requirements and the accompanying paperwork can be difficult and is the main reason people think of SBA loans as slow and hard to get. Some of the best SBA lenders, like SmartBiz, have streamlined this process and drastically cut down paperwork and application times. In fact, SmartBiz routinely closes SBA loans in 2 to 3 weeks. The SBA offers six types of SBA loans that provide affordable financing for small business owners that might otherwise be difficult to obtain. While the purpose and terms of each of the types of SBA loans vary, they’re similar in that the SBA doesn’t issue the loans, except for Disaster loans. Instead, the SBA promises your lender to pay some of your loan if you don’t. 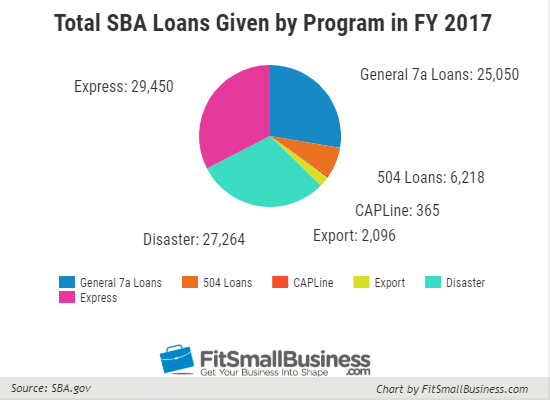 The most popular loan programs are the SBA 7(a), SBA 504 and SBA Express programs. SBA 7(a) loans provide borrowers with long-term capital up to $5 million while SBA Express loans provide borrowers with a quick way to get up to $350,000 in financing. SBA 504 loans, on the other hand, are a way for businesses to get up to $20 million in financing for commercial real estate. SBA 7(a) loans, as large as $5 million, can be used for working capital, to refinance debt or to buy a business, real estate or equipment. 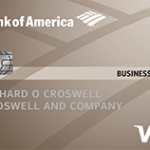 The 7(a) program includes SBA Express loans and SBA Advantage loans. SBA 7(a) loans are good for prime borrowers — 680-plus credit score — who need access to long-term capital. The CDC/SBA 504 loan program combines a loan from a nonprofit CDC with a loan from a bank to create a long-term, low-interest rate loan for up to $20 million for the purchase of heavy equipment or owner-occupied commercial real estate. CDC/SBA 504 loans are good for prime borrowers — 680+ credit score — who need access to long-term capital for real estate. SBA lines of credit are intended to meet short-term and seasonal working capital needs up to $5 million. There are four types of these lines of credit. They can be fixed or revolving lines and otherwise generally adhere to SBA 7(a) rules. They are good for borrowers who need access to working capital for seasonal needs or to meet the needs of a particular contract or project. SBA Export loans are designed to help small businesses fund new exporting operations and offer cash flow solutions to small business so they can offer more flexible terms to their international customers. The SBA Export loan program provides financing up to $5 million — $500,000 under the Export Express program — that might otherwise be difficult to obtain. SBA Microloans are issued through nonprofit, community-based organizations in amounts up to $50,000. Microloans cannot be used to refinance debt or purchase real estate. They are great for borrowers of a very small size, including for-profit businesses and nonprofit child care centers. SBA Disaster loans are issued directly by the SBA and provide up to $2 million in disaster relief funding to businesses and nonprofits. The financing is available to businesses and private nonprofits located in declared disaster areas and who suffered damage to property or economic losses as well as to businesses where a key employee is called to active military duty. This article has provided a lot of information about SBA loans. However, some questions are asked more frequently than others, which we’ve tried to address here. If we haven’t answered your question about SBA loans, feel free to share it with us in the FitSmallBusiness forum, and we’ll provide you with an answer. Qualifying for an SBA loan typically requires you to have a good personal credit score of (680 or higher, strong ability to repay — 1.25 times or better debt service coverage ratio (DSCR) — and some collateral. Plus, you’ll need to meet basic SBA eligibility requirements, such as being a small for-profit business located in the United States and having owners with good character. The amount of time it takes to get approved for an SBA loan depends on the efficiency of your lender and how quickly you provide the required documentation. It typically takes 45 to 90 days or more. You can speed up the process by providing a complete application and choosing one of the best SBA lenders. You typically need to have a 680 or higher personal credit score and ability to repay — 1.25 times or better DSCR — to get an SBA loan. If you meet these requirements, it may be easier to get an SBA loan than traditional financing. However, applying for an SBA loan can be hard if you don’t have guidance. Hopefully, you now have enough information about each of the six primary types of SBA loans to help you decide which one is right for you. If you don’t think any of the SBA loans are right for you, or if you don’t qualify, there are plenty of other financing options available that might help you get the funds your business needs. If you have a credit score above 680, have been in business for two or more years, are profitable and need up to $350,000, we recommend applying with SmartBiz for a streamlined SBA 7(a) loan. It can prequalify you online in minutes and get you funded in as quickly as 30 days. The SBA typically can’t provide assistance to businesses or owners with a prior government loss. If the SBA took a loss on your loan (e.g., your debt was settled for less than the full amount), then you fall into this category. On a case-by-case basis, the SBA can waive this exclusion for good cause. This is something you should discuss with your SBA lender. If you’re still looking for a lender, a great place to start is with our list of the best SBA lenders. Best wishes! Great questions! Sorry for the delay in responding. An SBA 504 loan is really two loans, one from a lender and the other from a CDC. The SBA’s guarantee is on the full CDC loan, which can represent up to 40% of the total financing package. This is different from other types of SBA financing, where there is one loan and the SBA guarantees a portion (up to 85%). Good luck with your continued research! You state here the maximum loan size for a CDC 504 loan is $14,000,000. That seems to be different that what the SBA.gov site says. Thanks for pointing this out in an effort to help. However, we state in the opening section that a 504 loan goes up to $20 million, which is what we believe they typically max out at with most lenders. However, in order to get to these loan sizes you’ll likely have to have some experience with the lender. In the 504 section below that we put $14 million in there because this is the max loan for brand new borrowers from the recommended provider we point you to. If instead you’re referring to the $5 million debenture you’re forgetting about the CDC portion of the loan, and the portion of the loan a lender is willing to lend above and beyond the SBA debenture. There are no project maximums for SBA 504 loans. Great explanation of the different SBA loan types. What loan type would you recommend for a construction company? The type of loan you’ll require through the SBA loan program is going to greatly depend on what you plan on using the funds for and what collateral you potentially have to put down. The majority of businesses looking for working capital, or for funds to buy a business, are going to find the SBA 7a loan as their best choice. Knowing nothing else other than the fact you’re a construction company, I would say you should look into the 7a loan. However, knowing more about your business and the use of funds will help you get a more defined answer. Good luck! Very good job explaining the different SBA LOAN PROGRAMS. As a SBA LOAN BROKER for the last 13 years I have to agree this is the most complete explanation on SBA loans I’ve seen so far. I’m glad you liked the article. Thanks for reaching out.